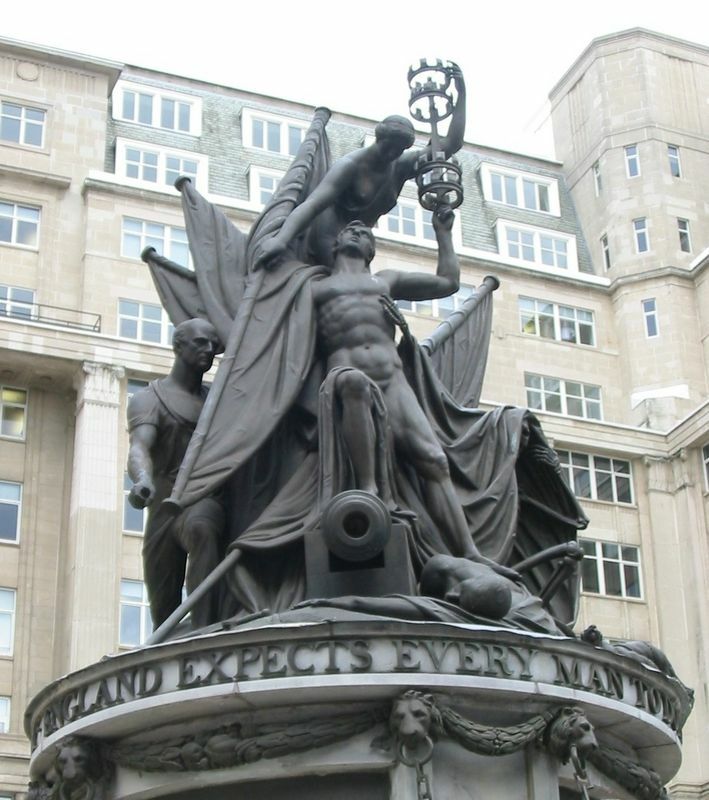 Flaxman designed this monument to Lord Nelson around the themes of bravery and patriotism. Nelson was such a revered figure that since his death around 33 monuments have been commissioned in his memory worldwide. Flaxman uses symbolism to link the themes in this peace, such as a British Lion and the figure of Britannia link Nelson to a sense of nationality which many of his admirers believed he embodied. 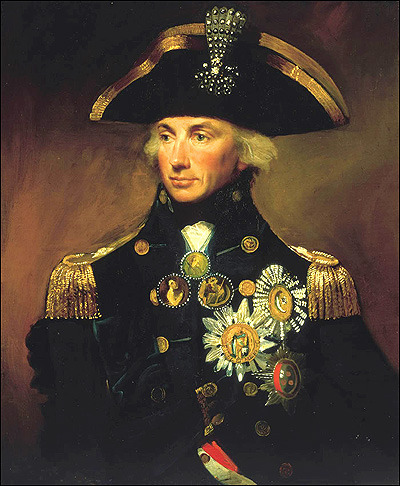 Admiral Horatio Nelson started his naval career as a boy when his uncle took him to sea after the death of his mother. A captain by the age of 20, the young Nelson gained experience sailing in the Caribbean, India and the Americas. Nelson went on to become Vice-Admiral of the British Navy and was a leader in the Napoleonic and Revolutionary wars in France. Losing his arm and an eye in battle, his courage and knowledge of the sea led the British press to celebrate him as a national hero. 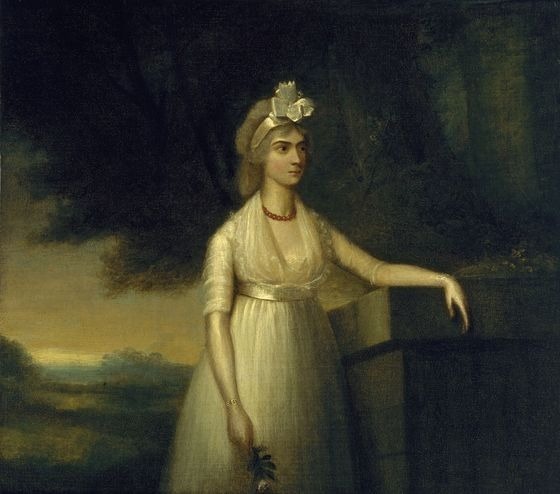 Nelson's private life was also well-publicized, as he left his wife for a married woman, Lady Emma Hamilton; he fathered a child with her and such a scandal only added to the intrigue surrounding him. The fittingly iconic death of Lord Nelson, on HMS Victory as the battle of Trafalgar was won in 1805, will go down in history. 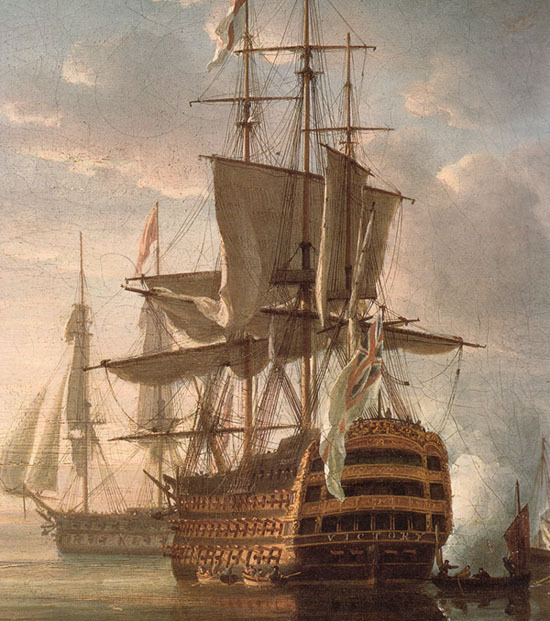 Nelson, having been shot in the shoulder, was brought below deck as he died and called for his good friend and the HMS Victory's Captain, Hardy. 'God bless you Hardy'. The admiral died shortly afterwards. After a lavish public funeral, Nelson was buried in the crypt at St. Paul's Cathedral, London, where this commemorative monument by Flaxman can still be seen today. '... It was by the late eighteenth-century commonplace to identify 'the nation's character with the strength of its fleet and the prowess of its sailors', the navy and the commemoration of naval victories and heroes were important weapons in the propaganda armory of the government'. Certainly Nelson was a figure which embodied the 19th century ideal of what it meant to be British and this is the main theme behind Flaxman's monument to him. Flaxman was commissioned to create this monument to naval hero Lord Horatio Nelson after his death during the battle of Trafalgar in 1805. Flaxman's inspirations for the work come from a number of different sources connected to Nelson's reputation, career and iconic status within British society. 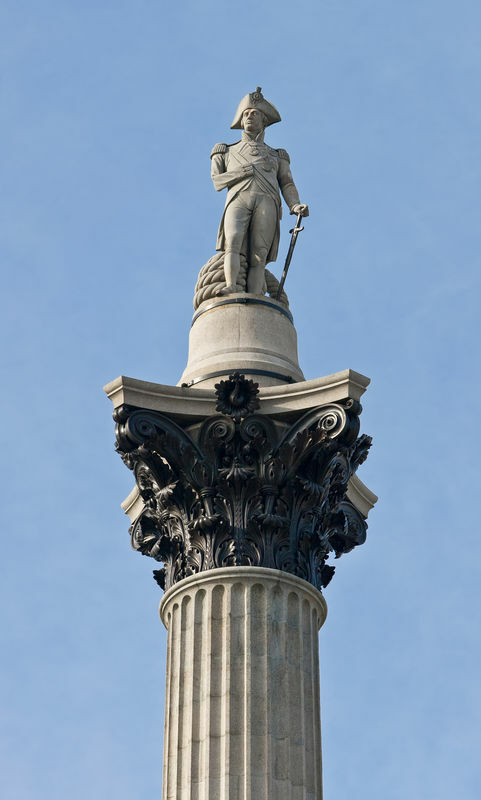 Flaxman portrays Nelson as a hero almost in the manner of Ancient Greece, stood on a plinth high above the rest of society and undoubtedly took inspiration for this from Nelson's huge popularity in Britain at the time. Not only this but the fact that Flaxman had been commissioned to create a memorial for what the 'Committee for National Monuments' called the new 'British Parthenon' in St. Paul's Cathedral certainly gave Nelson's figure a god-like quality. The design was certainly in keeping with the way the British government had started to use Nelson's character and exploits as instruments of propaganda. They gained William Pitt's government support for the successful and extremely costly wars against other European forces at the turn of the 18th century and distracted the British people from economic and civic problems during this period. The British Lion in the bottom right of the composition is representative of the three lions of the English royal coat of arms. He guards Nelson in a foreboding manner, representing the apparent strength of a nation. The Figure of Britannia or Minerva to the left of Nelson would have been immediately recognizable to people in Flaxman's time. A figure derived from the Roman name for ancient Briton, Britannia, is personified by a female figure dressed in robes and wearing armor. Flaxman shows her guiding the two young seamen in her care, asking them to take inspiration from Nelson's example. The sea gods around the base of this statue link Nelson to the sea upon which he spent most of his life. This classical element adds to Flaxman's Neoclassical composition and each god is thought to represent an ocean or sea on which Nelson secured a victory for Briton. They include the Atlantic Ocean, the Mediterranean, the Nile River and the Pacific Ocean. The design of Flaxman's monument to Lord Nelson comprises several different elements which add iconographic meaning to the piece, illustrating the themes that were important to Flaxman. The surroundings in which it stands in St. Paul's Cathedral are also important to consider when analyzing this piece, and the grand setting reflects the importance of sculptor and subject alike. Flaxman's composition is very derivative of ancient Greek and Roman sources. Nelson stands taller than the other figures in the composition, drawing the viewer's eye to him. He stands looking out to the horizon, almost as if he were aboard one of his beloved ships. 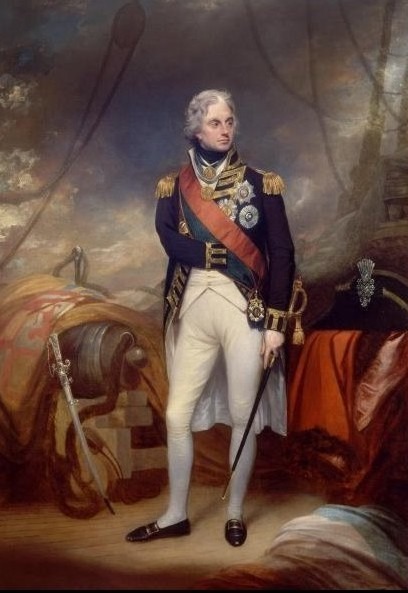 The coat casually draped over Nelson's shoulder creates a toga-like drapery and creates an element of relaxed self-confidence while the naval uniform helps to identity the figure. The bottom half of this composition depicts Nelson's admirers and helpers. The protective lion to the right and the children on the left add symmetry to the piece and create a pleasing triangular shape, leading the viewer to Lord Nelson. 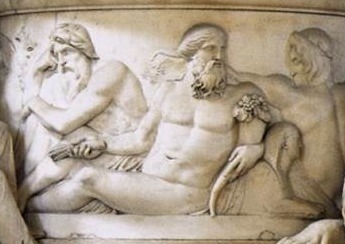 The Sea gods in the central frieze of the pedestal on which Nelson stands echo Neoclassical friezes and represent the seas on which Nelson sailed. Created in marble, this piece would have been first drawn up as a design by Flaxman and then undoubtedly produced in a miniature form by the artist himself. The final product was most probably worked on heavily by the artist's studio assistants under Flaxman's watchful eye. This sculpture can be seen today in St. Paul's Cathedral, in its original position, as seen in Flaxman's day. Presumably, Flaxman designed it for this very spot and it's important to note that it can only be viewed from the front and the sides; the wall of the Cathedral prevents viewers from gazing upon its rear. 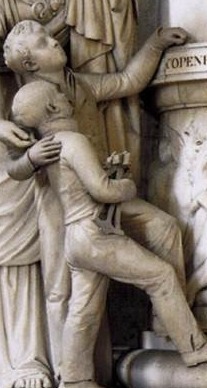 This would explain the absence of figures completely surrounding Nelson's plinth, similar to those in front of him. The mood of Flaxman's monument follows in a similar fashion to his other Neoclassical works: cold and some would say without feeling. The figure of Nelson is immortalized as a fearless leader looking out to the horizon, his face without emotion. This is possibly a nod to the hero-like status of Nelson within Britain. Like the classical Greek and Roman sculptures of great men, he is not animated or moved, simply proud and steadfast. The figures of Britannia and the young boys are animated, looking at Nelson with awe. In fact, it is almost as if Flaxman has created them looking at a statue of Nelson. 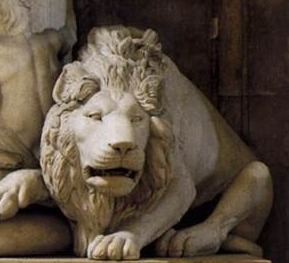 The Lion in the foreground is designed to look menacing and ferocious and Flaxman certainly achieves this. A symbol of supremacy and power, its torso is contorted with an angry snarl, almost as if it has been awakened from sleep. The details in its mane and the veins in its legs demonstrate Flaxman's attention to detail and his skill as a craftsman. 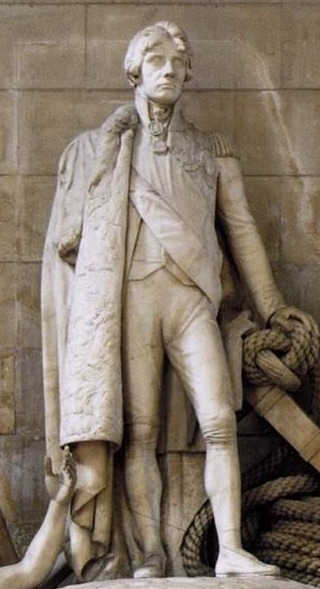 Flaxman's monument to Vice-Admiral Nelson is one of 33 recorded monuments to the naval hero around the world. Unfortunately for Flaxman it is not considered one of the most accomplished and is certainly not amongst the most well-known. Mary Webster was concerned with the way Flaxman worked the marble itself and noted: "(Flaxman) worked very little on the final marbles; he adopted, in fact, the pernicious practice of handing over the entire execution of the marble to workmen in his studio. The sometimes flat and dull execution that resulted robs more than a few of his marbles of the merit of a fully realized execution." After Flaxman's return from Italy in 1794 he began to receive commissions for monumental sculptures in the round, many of which were monuments. Flaxman's first sculpture upon his return, Monument to William Murray won him the commission of his Nelson monument in 1818. It was a very topical subject given Nelsons' recent death in the battle of Trafalgar and since Flaxman was not the only artist to use the national hero as a subject for one of his works, it is interesting to see how Nelson's character was interpreted by other artists. This Sculpture was ordered by the Commission for National Monuments, a government organized body that chose artists to produce national monuments during the 19th century. 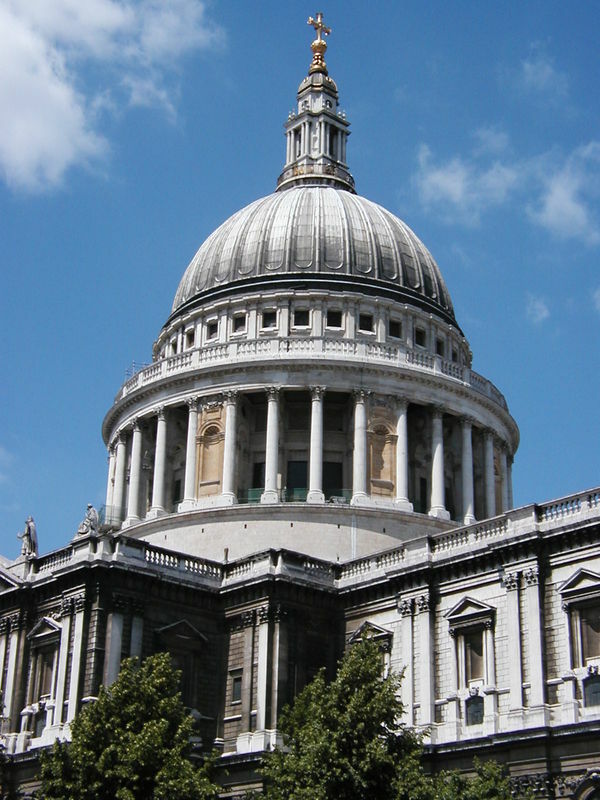 It has been on display in St. Paul's Cathedral ever since it was first presented there in 1818. John Flaxman spent a lot of his childhood in his father's plaster cast workshop and there he learnt the techniques of sculpting. He also read many of the ancient classics by Homer and was exposed for the first time to ancient art of Greece and Rome, which his father made copies of for his clients. In 1787 Flaxman travelled to Rome to gain inspiration from the large amounts of Archaeological material which were being excavated across continental Europe. On his return to England in 1794, Flaxman found a lot of sculptural commissions and created monumental sculptures in the round which still stand in St. Paul's Cathedral and Westminster Abbey in London. Flaxman's composition is very derivative of ancient Greek and Roman sources. Nelson stands taller than the other figures in the composition, drawing the viewer's eye to him. 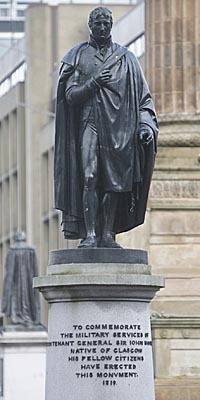 Flaxman portrays Nelson as a hero stood on a plinth high above the rest of society and undoubtedly took inspiration for this from Nelson's huge popularity in Britain at the time. The Neoclassical period occurred during the late 18th and early 19th centuries in England and continental Europe. It occurred in a decorative and artistic sense as a reaction to the over-zealous decoration and often fussy compositions of the Rococo and Baroque styles of the first half of the 18th century. There was a heavy influence from Ancient Greco-Roman art which was entering England from Italy and Greece through archaeological excavations. Such material was commonly collected by members of the British upper classes or 'Grand Tourists,' who travelled around the continent for pleasure and education. 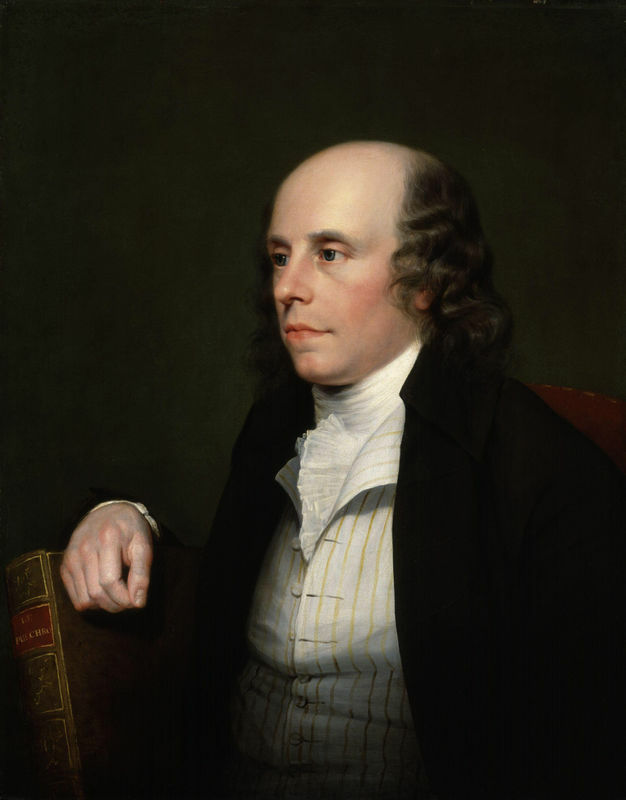 To read more about John Flaxman and his works then please refer to the recommended sources below.